My library is overstocked with cartomancy books. I own many “how-to” books about card reading, about traditional and archetypal meanings, layered with more and less complicated spreads and layouts. My shelves are filled with reading materials that accumulated throughout the years, coming to me with decks I bought. Browsing my book collection gives me pleasure — there’s something about the feel and smell of paper that the digital age will never replace for me. But when I started considering reading the cards professionally I had many questions: “No one knows me, so how will I promote myself? How much should I be charging? And where do you signup to be the corky reader at a local Ren Fair?” Unfortunately, I couldn’t find an appropriate advice in any of the books I owned, and was much more successful at online research and networking. Now, many moons after I went public with my fortune telling, there’s finally a book out that can really help a reader to establish a successful business. 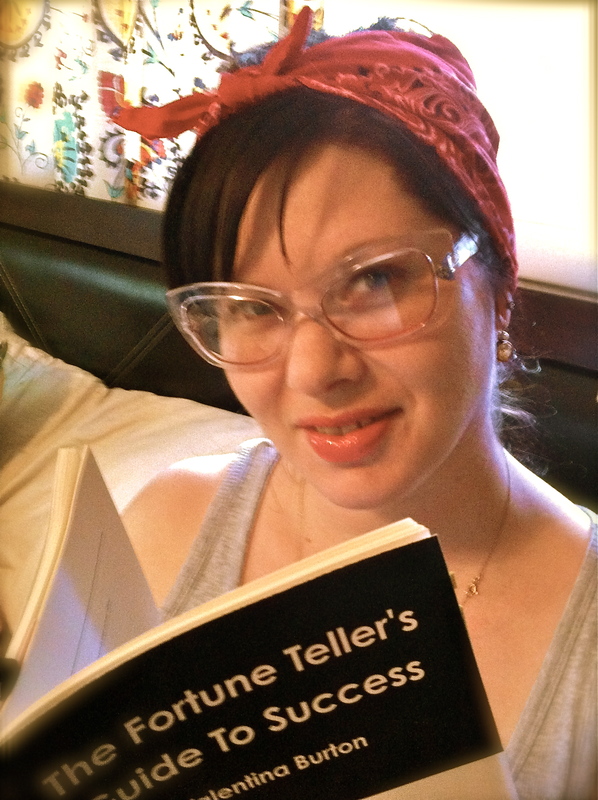 The Fortune Teller’s Guide to Success is written by Valentina Burton, also known as “The Fortune Teller of Dallas,” who is a successful psychic, a spiritual practitioner, and an experienced entertainer. In addition to owning a flourishing private business set in a vintage, 1920’s New Orleans-inspired office, Valentina reads regularly at the stylish Zaza boutique hotel in Dallas. So when her book came out, I couldn’t wait to purchase it. And I am thrilled! Valentina is a great writer. The book is practical, easy to understand, and is (thankfully) written in demystified manner and clear language. The author’s entertaining personality shines through loads of valuable advice, rich business experience, and sprinkles of funny real-life vignettes of working with clients. Interviews with other successful psychics are also included. 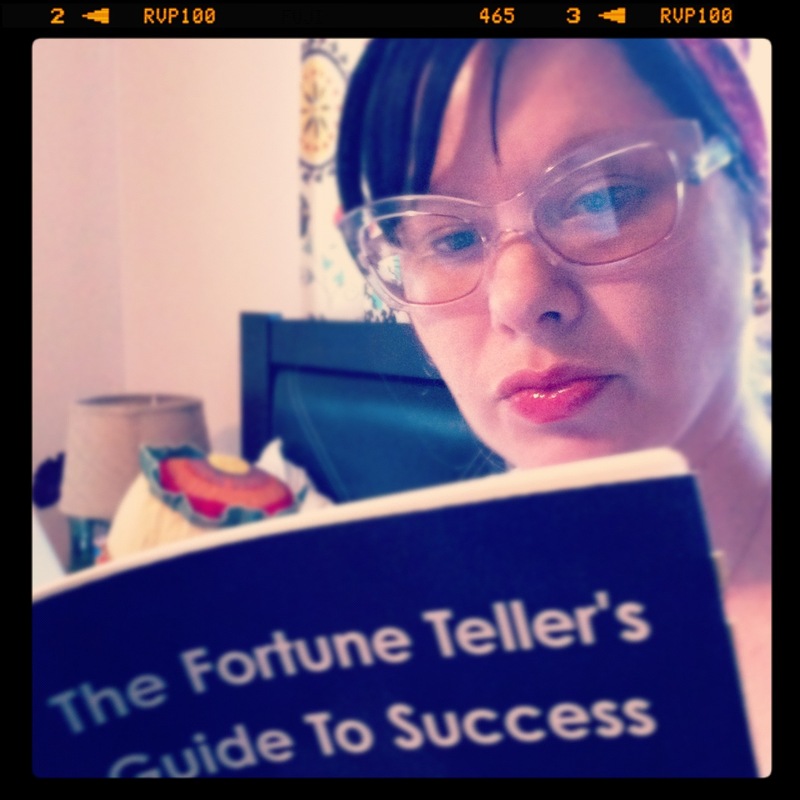 The Fortune Teller’s Guide to Success offers solutions for those of us who dream of working the corporate and fair circuit for instance; while sharing the pros and cons of renting a personal office space. There’s valuable information for the urban as well as the rural reader, and for the phone psychics who prefer not to work face-to-face with their clients. The author talks about promotion, presentation, and professionalism, while remembering to accent the concepts of ethics and integrity. She also warns of potential problems and real dangers in our chosen profession, along with practical solutions to avoid these. All in all, I think it’s remarkable that Valentina freely shares the practical secrets to her success. After thoroughly enjoying this summer read, I feel rejuvenated and inspired with the possibilities of making my own business more profitable. The book can be ordered at the Lucky Mojo Curio Co., as well as with several online retailers.